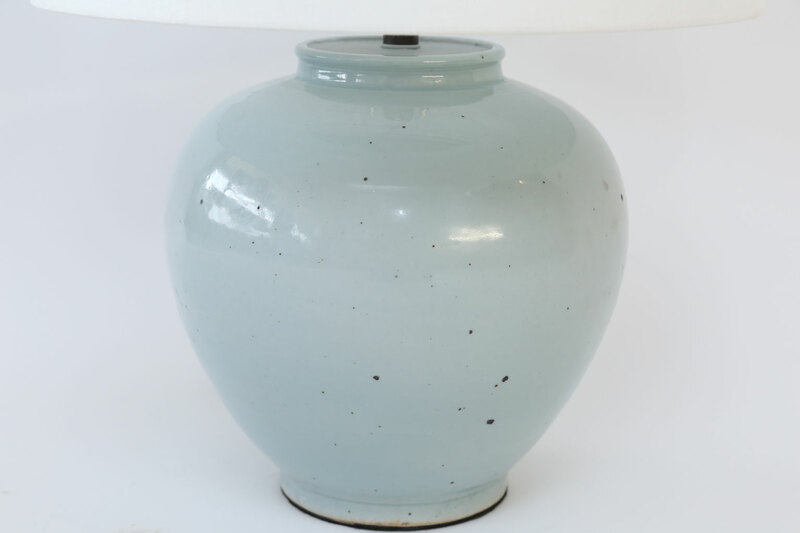 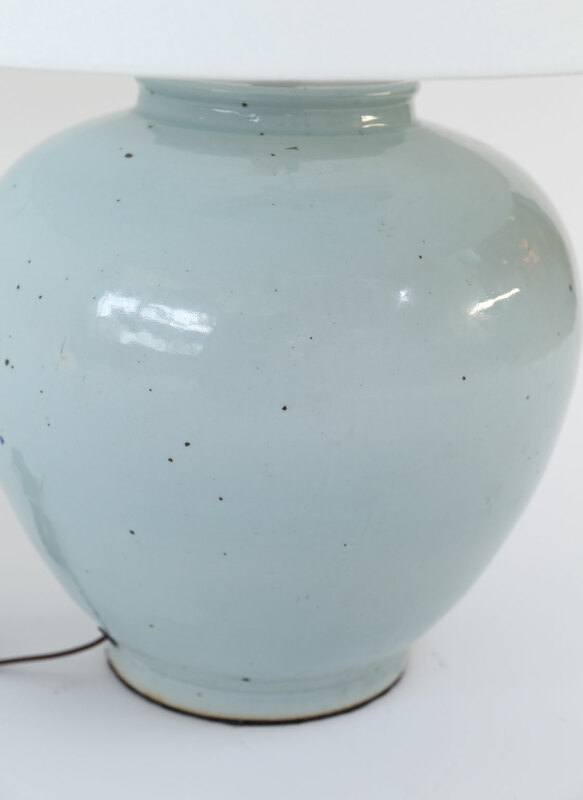 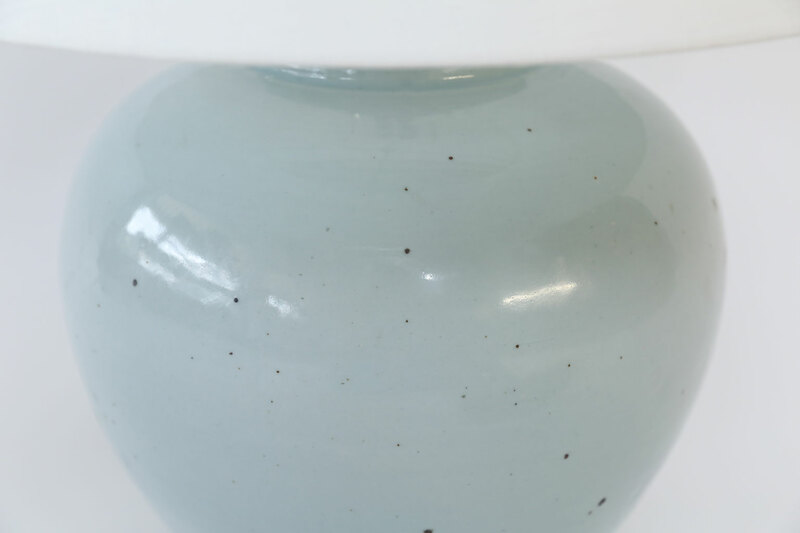 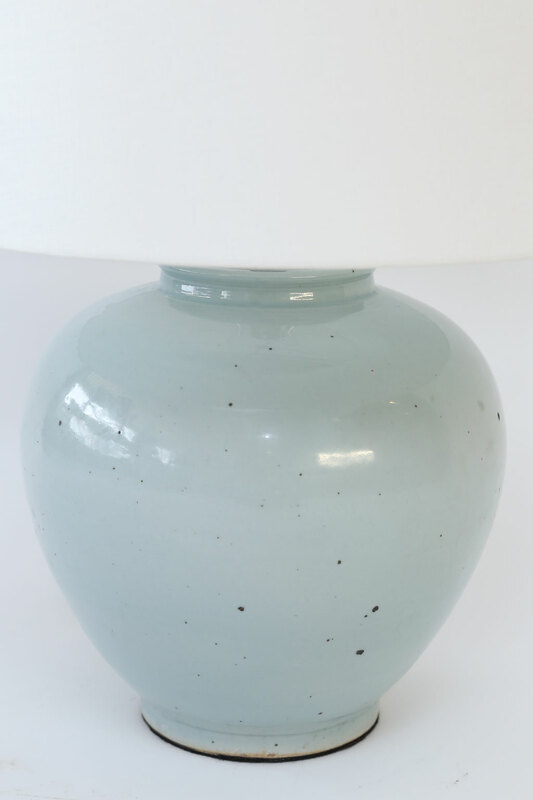 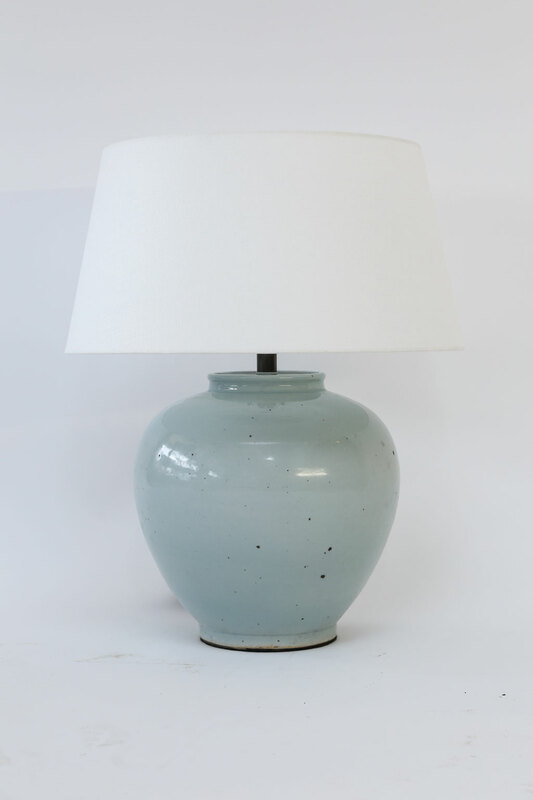 Two celadon vase table lamps newly wired for use within the USA using all UL listed parts. 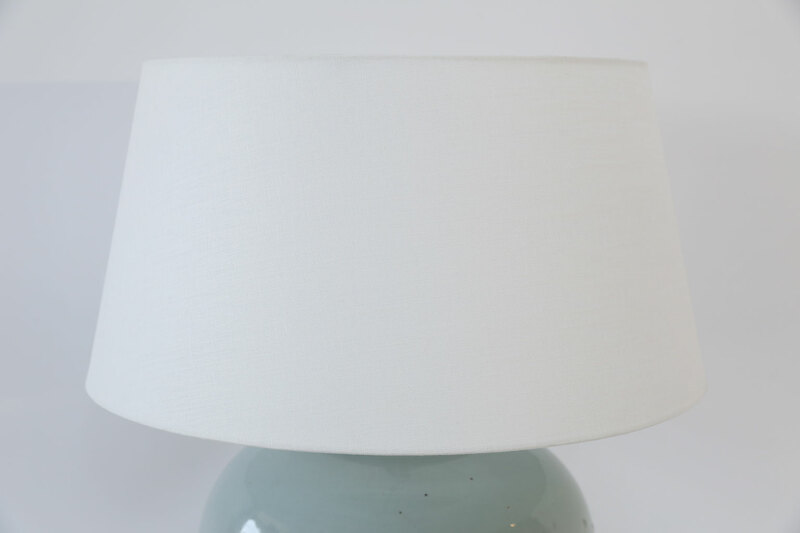 Include complementary white linen shallow drum shades (listed measurements include shades). 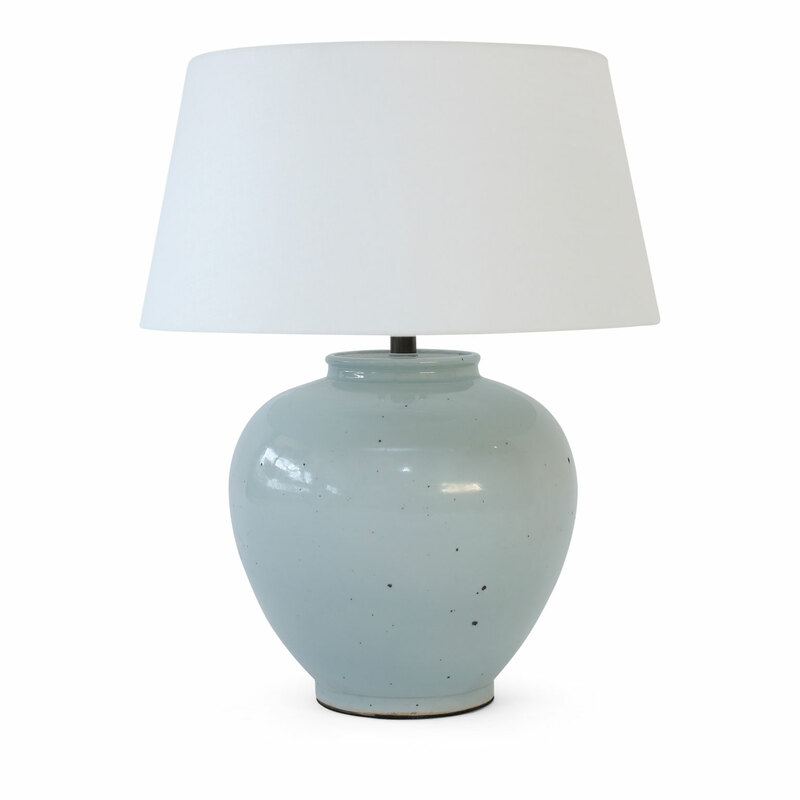 Table lamps are sold separately for $2,400 each. 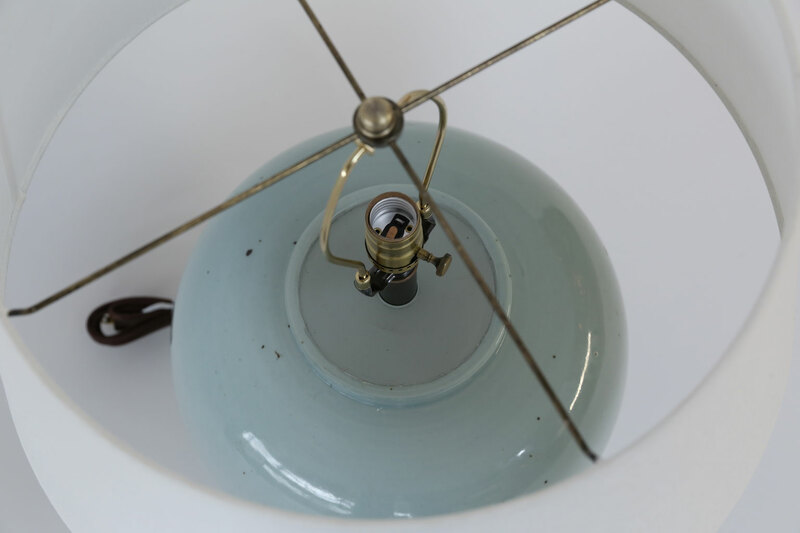 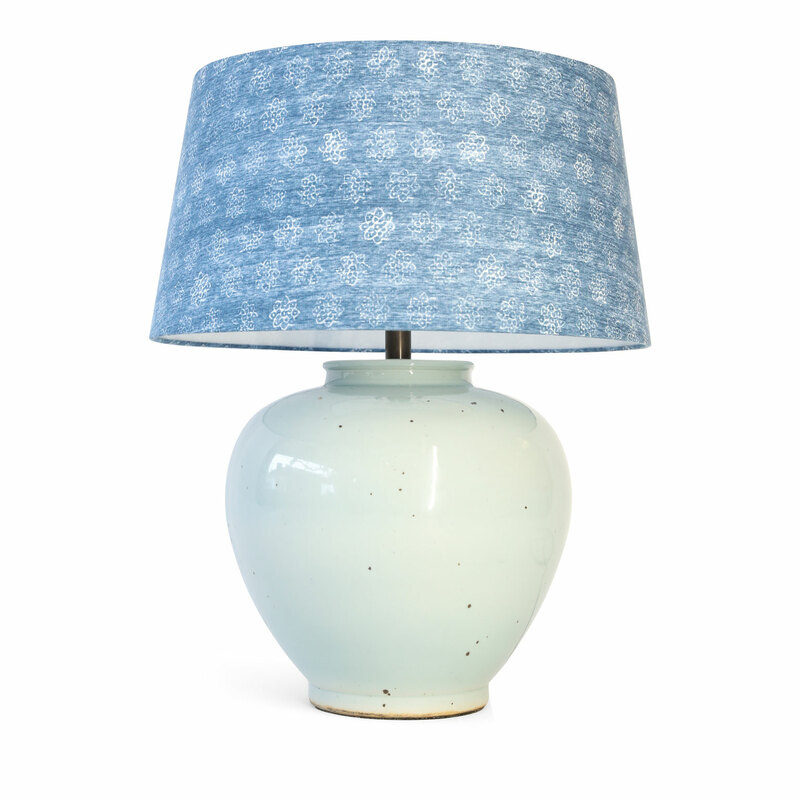 Custom shallow drum shape rolled-edge shades in Schuyler Samperton blue linen pictured on lamps in last two images sold separately for $695 each (two available). 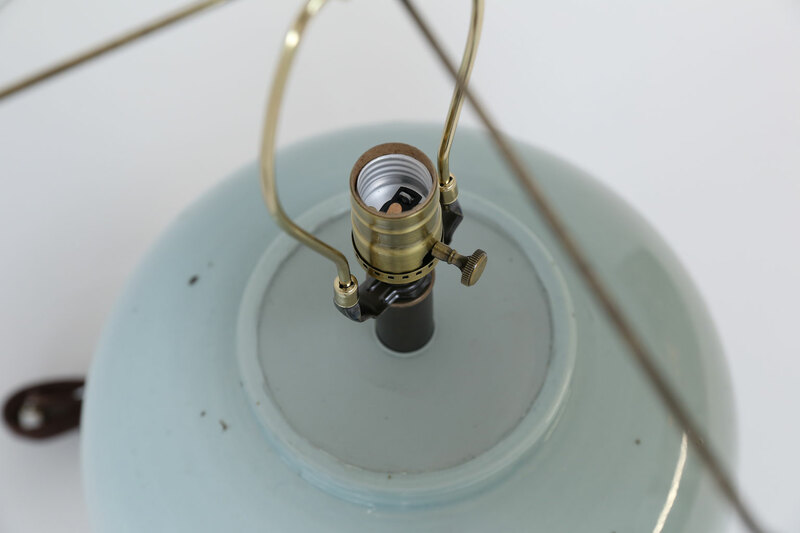 Condition: ExcellentNewly wired for use within the USA. 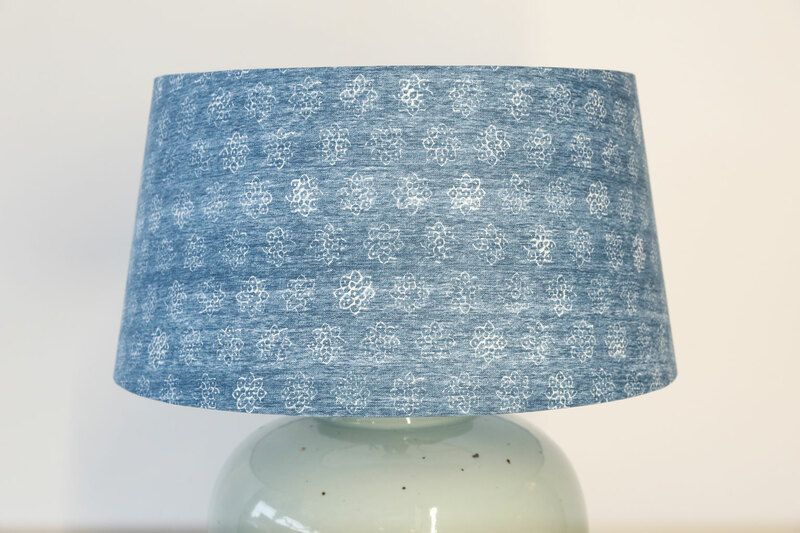 Include complementary paper drum shades (listed measurements include shades). 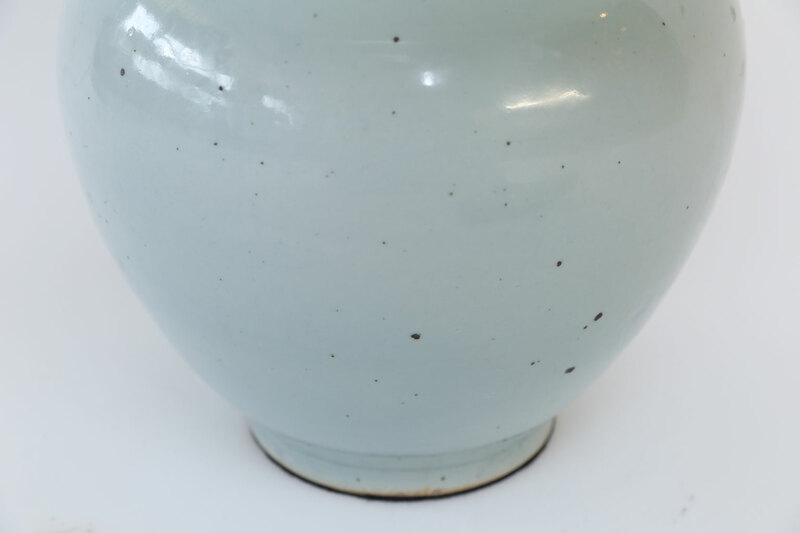 Materials: Celadon ceramics and linen.